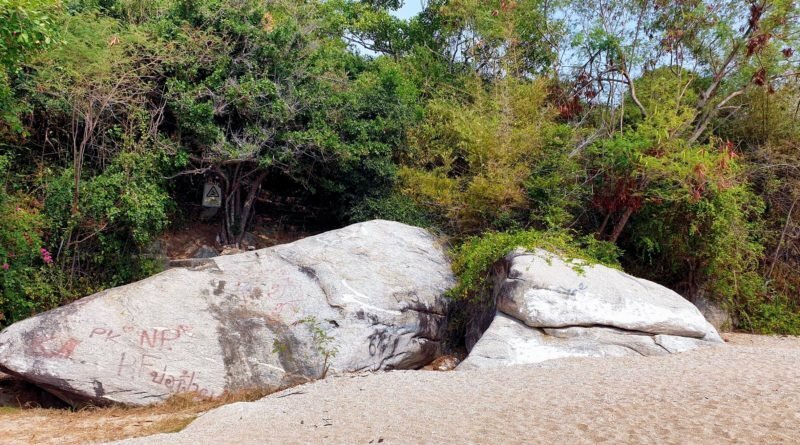 Tourists in the Khao Tao area of Hua Hin alerted the authorities after a group of youths were seen spray painting some rocks at Hat Sai Noi beach. But when Jirawat Phramanee and his tessakit workers arrived the vandals were long gone. They had left words, names and initials in Thai and Roman letters on the rocks. Thinner was used to restore the beauty of the area. Jirawat urged people to keep an eye out - if the people responsible are caught they will be prosecuted.